Nestlé currently draws 3.6 million litres every day nearby. 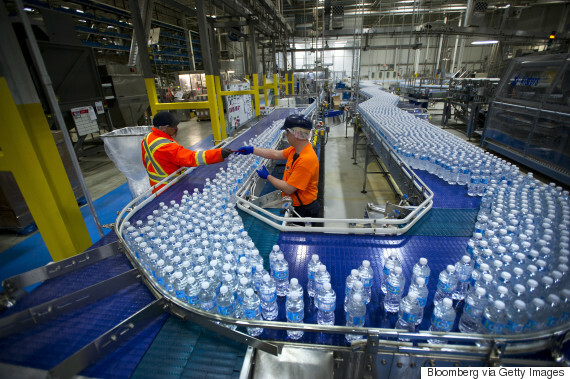 An Ontario city may find itself bumping up against Nestlé in its quest to secure a water resource to meet the community's needs. The City of Guelph has issued a report saying that its plans for a new water supply well could "conflict with Nestlé's water taking" as the corporation tries to renew a permit to draw the resource from a nearby plant. Nestlé has applied for a Permit to Take Water (PTTW) to continue extracting water from a plant in Aberfoyle, about 3.2 kilometres from Guelph, said a staff report attached to a Nov. 7 meeting agenda. The company wants permission to draw 3.6 million litres per day for the next 10 years. Nestlé's current permit allows it to draw the same amount, but only for five years. The application was submitted in April, five months before Ontario's government announced a moratorium on new water-taking permits, or increasing existing ones, that would last until 2019. And that decision came amid an outcry that followed Nestlé outbidding a small town for a well that used to belong to the Middlebrook Water Company. Nestlé managed to outbid the Township of Centre Wellington for a well that the town hoped could serve as a new water supply. The corporation said it didn't know it was competing with a municipality, but the deal nevertheless provoked calls for a boycott of its products. Guelph, however, hasn't yet acquired the well that it says would conflict with Nestlé's water taking. It hopes to secure a new water supply well located near its southeast corner in order to meet its growing water needs, which the city projects will rise from 48,253 cubic meters per day in 2013 to 69,872 cubic metres per day in 25 years. 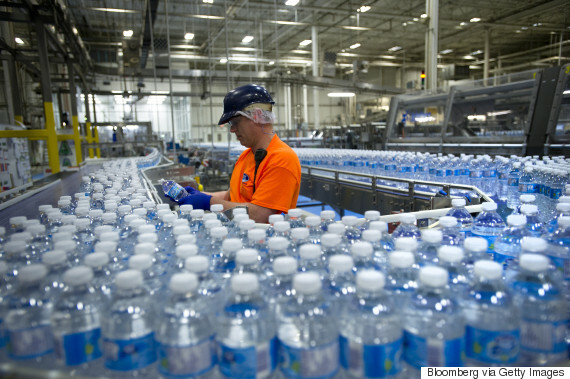 Nestlé's current water-taking is considered sustainable. But the city has carried out research showing that, in an extreme drought, "there is a significant risk that [Guelph's] water supply system will not meet the projected future demand." "Where the ratio of water demand to water supply is high, subwatersheds have been classified as having a moderate or significant potential for water quantity stress," the report reads. The Nov. 7 meeting is happening after Guelph Coun. James Gordon made a motion to oppose the renewal of Nestlé's water-taking application, the Guelph Mercury reported. Delegations expected to speak on Gordon's motion include representatives from Nestlé Waters Canada, the Canadian Beverage Association and Wellington Water Watchers. Activist group the Council of Canadians will also send a representative to the meeting as part of an ongoing campaign to deny Nestlé water-taking permits in the province.